Public Safety Building lobby office hours are Monday through Friday 8:00am to 4:30pm. Requests for reports, background checks, fingerprints or other services must be made in person during the above office hours or by mail. All requests by mail, should be mailed to 101 North Main Street, Harrisonburg, VA 22802. Beginning on June 6, 2018 the hours for fingerprinting are Wednesdays from 1:00pm to 4:00pm. Fingerprinting services will not be available during City of Harrisonburg holidays. Please check specific dates here before requesting fingerprints. 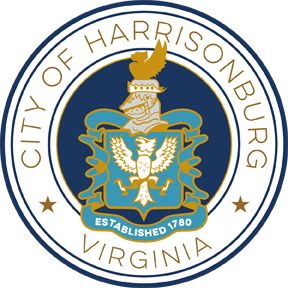 Requesters must either work in the City of Harrisonburg or be a city resident. For city residents, proof of residency is required. A letter from the employer is needed for employment prints. Please bring the paperwork/documentation from the agency requesting the prints. Students at James Madison University should have their fingerprints taken by the JMU Police Department. It takes approximately 5 days before a crash report is ready. 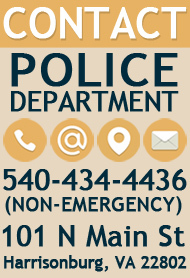 You may request in person or by mail, please first call 540-437-2650 to see if the crash report is ready. Once the report has been uploaded, you may download your report online. When on this website, select Virginia (VA) State, then select City of Harrisonburg listed under Virginia. This notarized background check will cover offenses the requester was convicted of only in the City of Harrisonburg. This does not include traffic offenses. The only exception is for local background checks of taxi cab drivers, which will show traffic offenses that occurred in the City of Harrisonburg. To obtain a pawnbroker/precious metal license, the dealer must fill out the application and be approved by HPD. This letter can be requested in person or by mailing a check payable to the City of Harrisonburg. This letter verifies that a report is on file with the Harrisonburg Police Department and also provides the following information; date and time of offense, reporting officer, and what property was stolen or damaged. If requesting by mail, please include the following form with your check. The requester must be present and show a valid ID. Complete this form and return to the Records Unit. A response will be sent by email or mail within seven business days of the request. If more time is needed, you will be notified. Freedom of Information Act - Residents of Virginia may request public records permitted under the Freedom of Information Act. The Act permits reasonable charges for costs incurred in accessing, duplicating, supplying, or searching for requested records. Should the estimated cost for producing the documents exceed $200, a deposit will be required prior to the request being processed. In order for us to respond, please include your return address with your request. Criminal Arrest Records - The Department of Virginia State Police Central Criminal Record Exchange is the custodian of these records. Arrest records can be found in the Virginia Court system under Harrisonburg & Rockingham County.